Giving your home a facelift isn’t something that comes at an affordable cost, at least not all of the time. Rather than invest in a full renovation of a space that you have, one of the things that our team suggests is to invest in some smaller things that will completely transform the way that your bathroom looks and at only a fraction of the cost. The team at Transworld Tile has come up with a few ways that you can make the most of the budget that you have, while still enhancing the overall appearance of your home. Here are a couple of our favorite ways to boost the value and appearance of your bathroom. One of the main pieces that people will see when they’re in a bathroom is the vanity. While it isn’t something that we intend to be a major piece of the room, it still is something that the eye is drawn to. This is something that can quickly change the look and feel of a bathroom and doesn’t have to be super expensive. Whatever it may be, this is a pretty easy way to spruce up your bathroom without having to invest in multiple things, which can seriously save you some money. While we’re talking about vanities, something that should also be taken into consideration is the sink that you have. Because sinks are pretty durable, they’re one of the last things that people think about when they’re looking for ways to update their bathroom. While they are durable, they can quickly become outdated, dirty or acquire issues. Rather than let an old, dirty sink take up real estate in your bathroom, invest in a new sink. You could even consider a sink that doesn’t have a vanity beneath it to create more space and open up the feel of the bathroom. Depending on the style that you’re drawn to, this could also be the piece that you need to transform the look of your bathroom into something that is more your style. What’s great about this update is that its one that you can count on lasting for years. Make sure, however, that if you aren’t super savvy with plumbing you call a professional. There is quite a bit of plumbing that you’ll have to mess around with to get the job done, and the last thing that we want is for a bigger mess than we had initially intended for, right? There’s something about the organization that can drastically change the look and feels of a bathroom. Something that we may not realize makes a huge difference, but does, are your towels. Towels are often super bulky and can make a bathroom look sloppy if it isn’t tended to. Something that you can quickly do is add a towel bar to your bathroom! There are so many different designs, materials, and colors that they are made of it, it will be easy enough to find one that works with the color scheme that you have going on in your bathroom. Once you add a towel rack, you can better organize your towels, make sure they’re up and off the floor, look great, and really make the most of the space that you do have in your bathroom. Some people find it helpful to add a smaller towel bar by the sink, and another towel bar that is larger, by the shower. That way you can have a way to organize smaller towels that you’ll use to dry your hands, while also keeping making sure that there’s somewhere for you to hang the larger towels that you use while showering. If you don’t currently have one of these in your bathroom, you’ll be surprised at the difference that they make! We talked briefly about how the vanity can be one of the first things that draws the eye in, but it certainly isn’t the only one. The shower or bath that you have within your bathroom is something else that people are going to be looking at while they’re in your bathroom, but it’s something that can quickly upgrade the overall look of your bathroom. If you have a shower or bath that has tiles around it, you’d be surprised just how incredible updating the tile can be. The project itself doesn’t take too much to do, and can give you so many different options so that you can go and find something that suits your style, your wants, and your budget. Transworld Tile knows that there are so many different things that get considered before you move forward with this project, but that’s where we come in. We’ll cover all sorts of items that will help you find the perfect tile and design that will allow for you to make the most of your bathroom, but we’ll also ensure that all of the materials that you use are exactly what you want and that they look great in the end. We’ve only just begun to dive into some of the ways that you can enhance the look of your bathroom without doing an entire re-do. Make sure to check back soon for the next portion of this blog that will cover additional ways that you can boost the look and feel of your home. 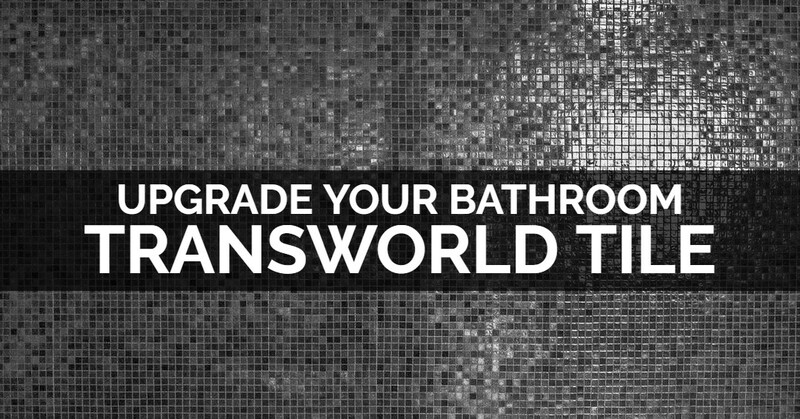 If you’re ready to get started on a project that will help enhance the look of your bathroom, reach out to Transworld Tile today. We provide the best tile in the San Fernando area to homes that are looking for ways to elevate their look and increase their value. Contact us today and a member of our team will reach out to you to provide more information about your project.